There’s actually quite a lot that has been written about endorphin release and the role it plays in providing positive feedback for self harming activities such as cutting. It is also strongly implicated in many other addictive behaviors: excessive exercising, thrill seeking, chocolate and sugar cravings and even over-stimulation from online gaming. Endorphins are the chemicals that our brain releases when we experience a state of joy. Here’s what seems to happen with self-harming activities: When endorphin levels increase suddenly, it induces a state of euphoria and decreased awareness of pain. Many believe that those who cut are using the “endorphin rush” to self medicate underlying depression and/or anxiety, and the traditional approach to shifting these behaviors has been to treat the underlying condition with antidepressants. However, there is another treatment that is emerging: Low-dose Naltrexone therapy. You may be aware that Naltrexone is a pharmaceutical that was originally developed and marketed for the treatment of opioid addiction (i.e. heroin). When used at high doses, it blocks all of the endorphin receptors in the brain, and assists in treating the physical aspects of this type of addiction. However, the alternative medical community has discovered that when used long term at much lower doses (about 5 mg a day vs. 50 or more), it can actually increase endorphin levels. This is how it works: A very low dose of naltrexone is taken every evening at bedtime. It blocks some of the brain’s endorphin receptors temporarily during sleep. The drop in the endorphin level that the brain detects is significant enough and sudden enough that it actually stimulates the brain to turn on more endorphin production. The medication has worn off by morning and there are no lingering effects. Gradually, over time, endorphin levels increase to much higher levels. The theory regarding self harming behaviors is that once the endorphin levels increase to high enough levels, the “endorphin rush” induced by the behavior is not much greater than the new increased baseline endorphin level. At that point, there is no longer an “endorphin advantage” to engaging in the behavior and it becomes much easier for those who are harming themselves to end the behavior. It does take time for the endorphin levels to increase enough that the behavior starts to shift. It can take anywhere from 3 to 6 months to see a change, so this approach does require patience. It is recommended to continue the Naltrexone for at least another 6 months beyond the point where the self harming behavior had ended. This allows the brain to get used to functioning at these levels and will increase the probability that the new higher endorphin levels will be maintained once therapy is ended. Endorphin levels are also increased whenever one experiences a state of joy. So, increase those experiences as much as possible!!! However, when endorphin levels are quite low, as they are in many who experience challenging addictions, it can be almost impossible to experience “enough” joy to support recovery. It is estimated that the effect of taking low dose naltrexone on endorphin levels is equivalent to being in a state of joy for about 3 hours a day. And, here’s the good news: Once endorphin levels have reached higher levels, they can be maintained through any activity that brings joy for about 15 minutes a day. 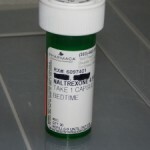 Naltrexone must be prescibed by a physician and is only available from a compounding pharmacy. It is not covered by insurance and will cost around $40 or $50 a month.